We’ve had a pretty good run on mild weather this fall. As I walked my dogs this morning the red, yellow and orange leaves on the trees glistened in the sunlight. While the cool breeze and rustling of leaves on the ground felt so comforting. Yet, this evening we are expecting storms with temperatures dropping from the mid 70s (unusual for this time of year) down into the 30s overnight, with highs tomorrow only near 50. Time to say goodbye to the beautiful leaves. Almost instantly the trees will be bare as the leaves fall to cover the earth. In anticipation of the approaching fall chill, I decided to cook something warm and soothing for dinner – Beef Barley Stew. To stew typically means that the dish contains meat, vegetables and a thick soup-like broth resulting from a combination of the stewing liquid and the natural juices of the food being stewed. It’s a method of cooking of which food is barely covered with liquid and simmered slowly for a long period of time in a covered pot. Stewing not only tenderizes tough pieces of meat but also allows the flavors of the ingredients to blend perfectly making a luscious one pot meal. Barley which is prominent in this dish, is a whole grain, rich in protein, vitamins, minerals and amino acids essential for our health. More importantly, barley is one of the richest sources of both soluble and insoluble fiber. In addition to barley, many nutritious vegetables are present in this stew – celery, carrots, mushrooms, garlic and onions. 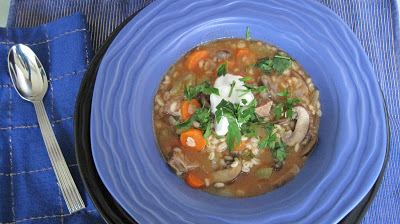 When seeking a hearty soup loaded with veggies I recommend this thick, luscious, Beef Barley Stew! If making this dish, don’t try to rush it. Take your time and allow the stew to cook slowly over a low heat for optimal flavor and tenderness of the meat and vegetables. I find it’s best to make stew the day before then after cooling, place in the refrigerator covered, overnight. An hour before serving set the pot back onto the stove and heat up slowly, stirring often so the bottom doesn’t burn. The results are heavenly! Place the shanks (or beef stew meat) in a saucepan and add water to cover generously. 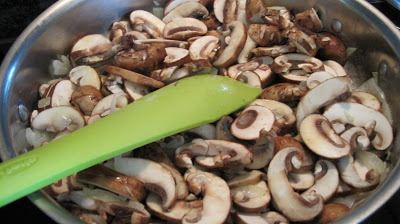 Bring to a boil over high heat, skimming often to remove any foam that forms on the surface. (Never allow a stock to boil. 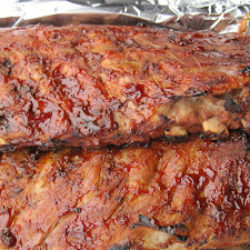 As meat and bones cook, they release proteins and fats into the surrounding liquid…. At a slow simmer, these components appear as scum on top of the stock and can be skimmed. If the stock is boiling, these substances are churned back into the stock and become emulsified. 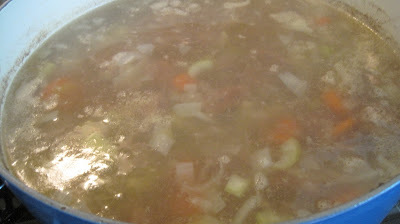 The resulting stock is cloudy and has a dull, muddy, greasy flavor, which will only worsen if the stock is reduced for a sauce”). Add about two-thirds of the chopped onions, the carrots and celery, reduce the heat to low and cook, uncovered, for about 1 hour. Add the tomato puree and barley, cover partially and continue to cook over low heat until the barley is tender, about 1 hour more. Remove the shanks from the pan (if using) and, when cool enough to handle, cut the meat from the bone. Chop and reserve the meat; you should have about 1 1/3 cups. Garnish with sour cream and parsley if desired. Note: I used beef stew meat. However, for a more superior flavor use beef or veal shanks. If using beef stew meat there’s no need to remove the meat after it’s been cooked to cut into bite size pieces. The beef stew meat already comes that way. Well I love stew, especially with a thick tomato sauce, I actually haven ever had brown gravy stew, my father would never have allowed it in our home, Italians had to have it in sauce only.. kind of funny now thinking back on things that were a no no in our house! Stew is awesome especially with lamb! I would love to try this recipe because I have never cooked with barley other than making a drink out of it which is very popular in Asian cuisine. It looks so hearty and warming especially when the barley would soak up all that beautiful flavours from the stew. Really, REALLY great information! I didn’t know about boiling vs. simmering stock. That would explain why I have to run mine thru cheese cloth several times! Thanks SO much! With all these yummy ingredients this has to be delicious – of course it helps to know all the great preparation instructions too! Thanks, Vicki! @Pegasuslegend – this doesn’t have brown gravy in it. It’s simply water and the beef cooked together with tomato puree added and veggies. It’s quite good and hearty. I hope you’ll try it. @ChopinandMySaucepan – I’d love to see your beverage made with barley. My husband dislikes mushrooms and this had plenty in there. He had 3 bowls full and then kept going back all night to take spoonfuls. It’s yummy. I hope you’ll try it. @Aarthi – thank you for the nice words and for visiting my blog. I will stop by to visit you shortly. 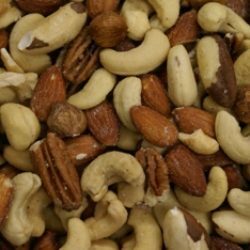 @Ann – Glad to have offered some helpful information. Simmering will also keep your meat much more tender. @The Cafe Sucre Farine – thank you for your comments. Hope you enjoy the stew if you try it. @Lizzy – thanks for stopping by. It is very good. I think you’ll enjoy it. Thank you for your helpful info Vicki! Looks like a wonderful recipe! I will give it a try next time I make stew! @Dulce Dough – thank you for stopping by and for your kind words. I haven’t seen you around in a while. I’ll have to check out your blog. You always have great things to share. Great looking recipe. I love barley, but don’t use it nearly enough! It’s wonderful in soup, and can make an interesting side dish, too. Good, thorough post – thanks. Vicki, you are the first person that I found who recommends skimming. In Japanese cooking, we always skim the fat and scum and we consider it’s very important process and I’m so happy seeing it on your post! I LOVE your delicious stew. Make me want to have it tonight. Beef barley stew is a great choice for this time of year. I’ve noticed that most of our leaves have fallen and that makes me sad! Soups and stews–can’t get enough of them when the weather turns chilly. This one sounds fantastic. Love barley! Fantastic tips, by the way, especially not allowing your stock to boil. @Kitchen Riffs – thank you for your comments. I hope you’ll try the stew. 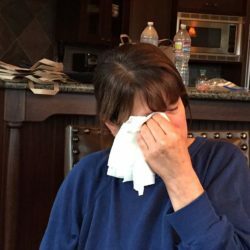 @Nami – I grew up skimming the scum and fat from the soup. I think it tastes better and cleaner. I hope you’ll try it. It didn’t last long in my house. @Mary – I hope your family enjoys it as much as mine does. @Cheryl and Adam – thank you for your comments and for stopping by. I hope you enjoy the stew! My stews are pretty bland cant eat onions since I am allergic, I hear they are never quite the same flavors… oh well… thanks for setting me straight.. I was wondering how it was so brown without brown gravy.. interesting. 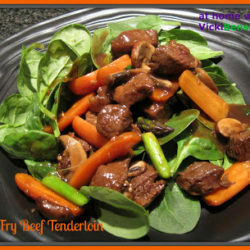 @Pegasuslegend – the Cabernet Beef Stew is also wonderful and has a totally different flavor. Both are incredibly delicious IMO. You wouldn’t go wrong with either one. We have a mild autumn over here too, but I still love prepare us some warming and comforting soups with some homemade bread for the dinners. I love your stew too, looks loaded with flavours. i know i can have tender meat and flavorful, earthy soup! I agree that we shouldn’t rush when it comes to make a stew!